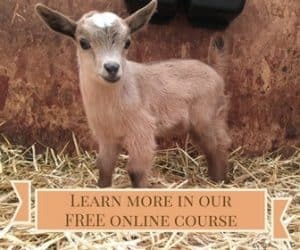 When people first start a homestead business, they often ask if they should take out ads in a local newspaper or on a radio station. They think of traditional marketing, which is how things were done a decade ago. Lucky for us, today’s marketing is far less expensive and can be more effective in the long run. 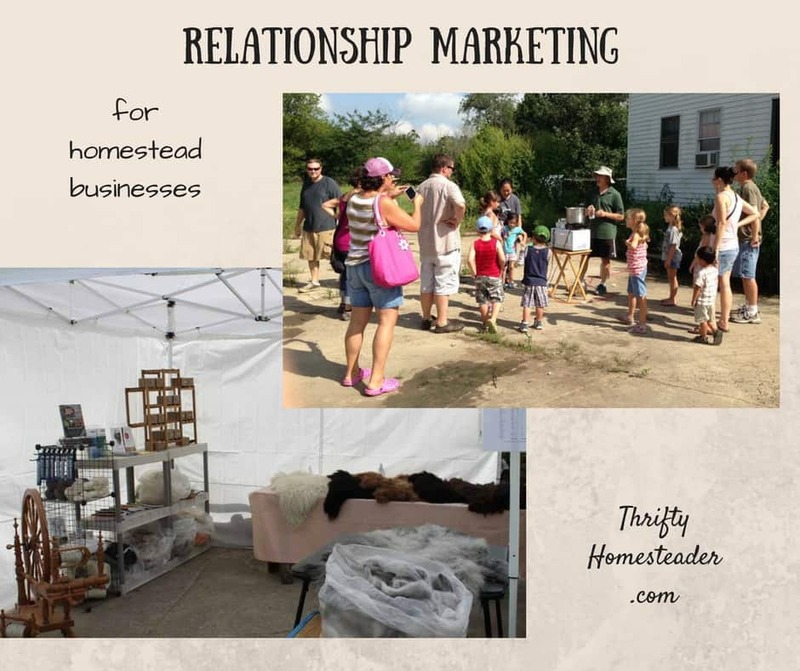 Most homesteaders and farmers excel at relationship marketing, which is what corporations big and small are now aspiring to. Basically, you get to know your customers, and they get to know you. The Forbes article goes on to say that “emotion” is a huge part of relationship marketing. You are forming that relationship by creating an emotional connection. And what is our forte in emotion? We actually have a lot of them. 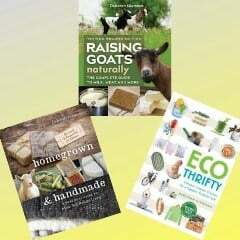 We have cute baby animals, delicious vegetables, and stories of hardship and triumph. Basically, we just need to tell our story. Back in the 1990s when I was a newspaper reporter and city editor, we always said that we’d sell more papers whenever there was a picture of an animal or a child on the front page. So, if you also happen to have young children, then you’ve definitely got this relationship marketing thing nailed. 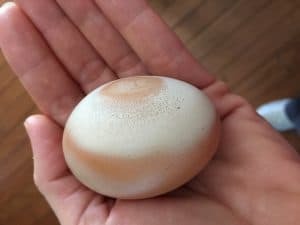 When one of our hens laid this oddly colored egg, I posted the picture on Facebook. Relationship marketing can be done in a variety of ways. If you sell at the farmer’s market, you can include pictures of your farm in your display. People can see where their vegetables were grown or where the chickens live who lay their eggs. Let them get to know you in conversations. If you have a full-time job off the farm, mention that. If you used to live in the city and moved to the country for a more rewarding life, talk about that too. Differentiate yourself from the other farms and Big Ag. Tell your story. On social media (yes, you really do need to be on social media) post at least one picture daily. Just use your cell phone to take a picture of whatever cuteness you see when doing chores. You want the vast majority of these pictures to be things that make people smile, such as baby animals, animals grazing or doing funny things, and a close-up of an iris or a shiny striped tomato (everyone has seen plain red tomatoes). If you do have a tragedy, such as a weasel getting into your henhouse, you can share that too. Having on-farm events is another way to get to know your customers. More importantly, it’s a way for them to get to know you better. They can see that you’ve accurately explained your growing practices. Your chickens really are running around in the pasture, not living in a large building. We’ve done soapmaking demonstrations so that people can see that we really are using natural oils and goat milk. Why do we need to engage in relationship marketing? First of all, if you’re talking to your customers, you have a better idea of what they want. Ask them for feedback on your products. Ask them what they prefer in various products. If you do this through a survey, you’ll probably get a very small percentage of people responding — could even be less than 5%. This is where we can beat big business any day of the week. They can’t get to know thousands or millions of customers. But if you’re just chatting at the farmer’s market, these things can be a natural part of the conversation. The most important aspect of relationship marketing is simply forming those positive relationships. In today’s world when we buy so much through a keyboard, we never even see a sales person. Even though this is quick and easy, it does leave a void in our lives. People need to be connected with other people. As our world grows increasingly disconnected on a face-to-face level, people are going to want those relationships even more. Getting to “know your farmer” will become a more natural relationship. How much do you trust someone you don’t know? Not much! The more that your customers get to know you and like you, the more they will trust you. The more they like you and trust you, the more they will buy from you. On top of that, they’ll tell their friends about you, and that’s the type of advertising that money can’t buy.